Taking a trip to Walt Disney World? Have all your dining reservations booked, a list of your must-see attractions and shows, and Fastpass+ planned out? Whoa there partner. You’ve left out one of the most crucial parts of your vacation, the relaxation. 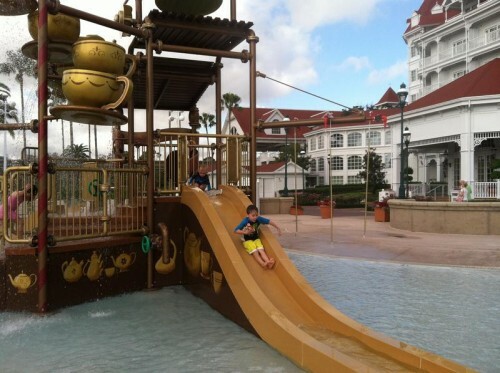 You certainly can spend your Disney trip in commando-mode bouncing from location to location, but I recommend setting aside a little downtime where you can be pampered and find that relaxing moment you know you need. Afterwards, you’ll feel renewed and ready to take on the rest of Walt Disney World. 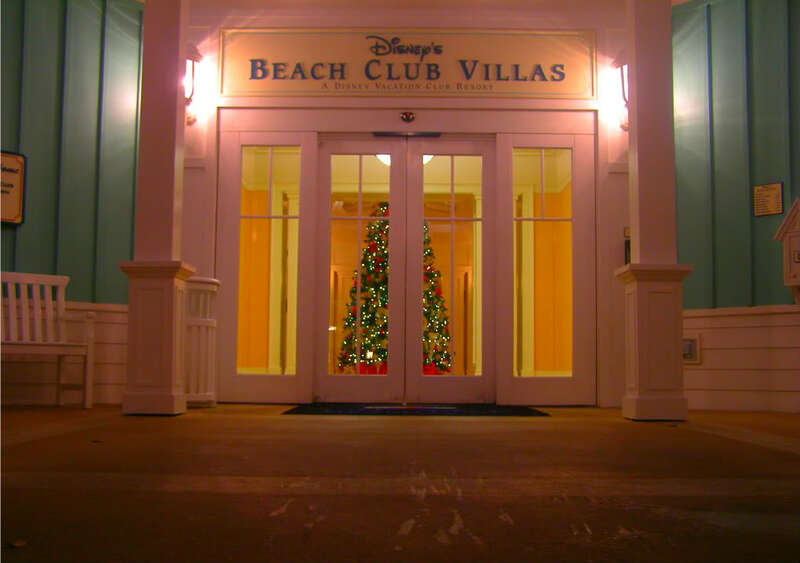 If that sounds like a good idea to you, two newly reimagined full-service spas at Walt Disney World Resort are set to take guests on a sensory journey designed to renew, relax and energize. Senses – A Disney Spa at Disney’s Grand Floridian Resort and Senses – A Disney Spa at Disney’s Saratoga Springs Resort both feature unique looks and feel and have slightly different selections when it comes to treatments. However, guests visiting either location between now and Feb 28 can usher in the new year with a seasonal menu of rejuvenating treatments that include a Chocolate and Strawberry Facial to tone, tighten and detoxify and a Mimosa Champagne Scrub and Body Wrap that hydrates and refines. 1. Set a budget within your comfort zone. Sure, you can probably swing $3500 for a week at the Grand Floridian, but how does that make you feel? If it makes you feel uncomfortable, it’s not the right resort for you even if you can afford it. The nice thing about staying within your budget is that it allows you to potentially say yes to a lot of other things, whether its tickets to a holiday party, a toy your child wants, or a big dinner at a signature restaurant. Apparently Universal Orlando Resort has figured out a large untapped audience – Families of Hipsters. They just announced a partnership with Loews Hotels & Resorts to build a new hotel development with a ‘hip’ theme that will add high-quality, high-value options for families wanting an affordable on-site experience. I joke, but I am willing to bet it will be a success for Universal. 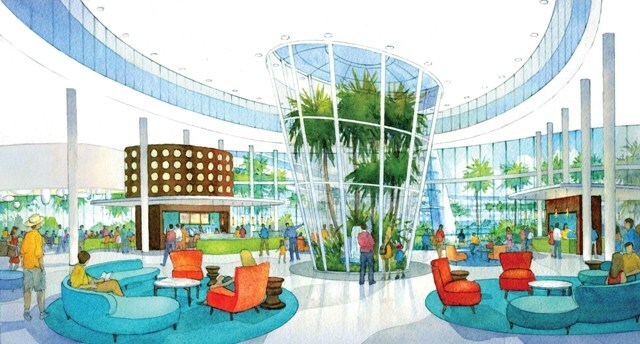 Universal’s Cabana Bay Beach Resort will offer two distinct experiences within the development’s multiple buildings: 900 family suites, capable of sleeping six, that include kitchen areas and 900 standard guest rooms – offering both moderate – and value-priced accommodations. 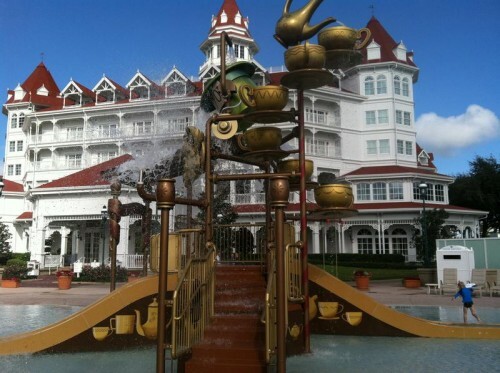 It will be operated by Loews Hotels & Resorts and is scheduled to open in 2014. Think of Cabana Bay Beach Resort like a moderate resort, compared to the more deluxe Portofino Bay Hotel, the Hard Rock Hotel and Loews Royal Pacific Resort. Amenities will be slightly different, and the room rate won’t include the Universal Express Unlimited Pass. That’s fine in my book, since a potential of 5000 more people running around with Express Passes could overwhelm the delicate balance that exists now in the parks. That said, there is an obvious need for family suites. More extended families are vacationing together. A moderate level price is also something that has been missing from Universal’s deck of cards. The west coast got its Cars Land, an immersive environment that transports the guest into the world of Cars, but the east coast is getting some cars lovin’ too. The second phase of Disney’s Art of Animation just opened and guests are now able to explore the three wings and book a room in the Cars themed hotel rooms. 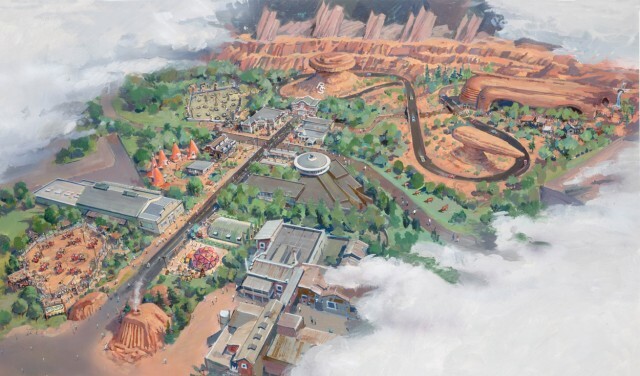 You’ll find Lightning McQueen, Mater, Flo and other characters from the popular Pixar film “Cars” in a larger than life Radiator Springs set design. In the new Cars wing, featuring 480 family suites, a freshly paved road leads guests on the greatest road trip ever, a cruise down memory lane to small town America — Radiator Springs. Parked at the entryway Sheriff and the infamous Doc Hudson welcome folks into town, along with other car “faces” parked along the road. There’s backdrops of Luigi’s Casa Della Tires, Tow Mater Towing and the Wheel Well Motel, creating an authentic setting lifted from the super-charged adventure. All roads lead to the 60′s style Cozy Cone Motel where distinctive orange cone-shaped cabanas invite guests to kick back and then take a dip in the Cozy Cone Pool. High-octane theming is full-throttle inside the family suites, with orange cones imprinted in the carpeting and adorning the light fixtures plus animation-inspired artwork. Guests will feel as though they walked into a scene from the blockbuster film as a pull-out bed extends from the living room sofa (whimsically appearing as the back seat of an old hot rod), the tool chest is actually the dresser and the bathroom design is inspired by a car wash.
Below the jump is a gallery of images from the new Cars themed buildings and a teaser image from The Lion King wings that will open soon. Disney recently opened part of Storybook Circus ahead of schedule and now they’re moving up another project at the resort. 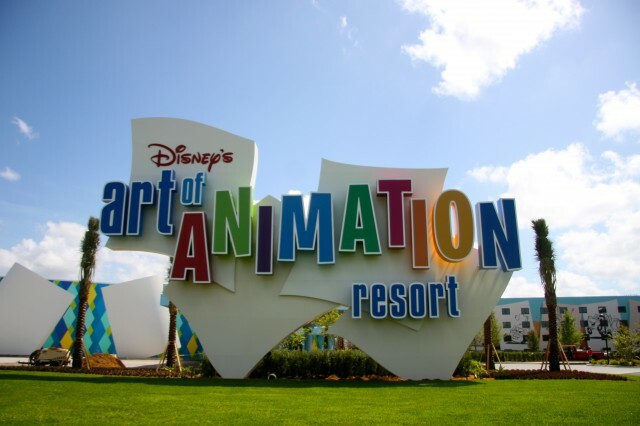 The wings dedicated to the popular films featured at Disney’s Art of Animation Resort will now be opening than sooner than expected after the resort hotel’s grand opening May 31. 2011 was a crazy year. A Tsunami nearly wiped large portions of Japan off the map and earthquake damage closed Tokyo Disneyland Resort. Disney Parks President Tom Staggs was struck with an idea while walking through California Adventure, less than 6 months later a partnership with James Cameron and his Avatar property was announced, but will it be a proper answer for Harry Potter? We have to wait and see. Meanwhile, Cars’ land in California and an expanded Fantasyland in Orlando hurdle toward opening while their neighboring parks sit neglected and with various states of under-utilized capacity. 2012 has the potential to be just as crazy, although we hope less natural disaster and tragedy is involved; to start, it’s a leap year so we get an extra day for crazyness to drop in. Additionally, it promises to provide the first glimpses of Next-Gen technologies used on a wide scale, a look at how Imagineering can build a world with detail rivaling Harry Potter at Universal when given the budget (we hope, they still can), and the Magic Kingdom will open the first phases of its Fantasyland upgrade, some of which are ahead of schedule. At sea, the all-new Disney Fantasy of Disney Cruise Line will join the fleet with it’s own brand of shipboard fun along with many of the old favorites..
Sorcerers invade the Magic Kingdom (early 2012) – In an all-new interactive experience, “Sorcerers of the Magic Kingdom,” Merlin the magician will recruit guests as apprentice sorcerers to undertake missions to subdue villains and ne’er do wells. Armed with magic spells in the form of special cards, guests must search for the magic symbols that lead them to animated villains’ hiding places. 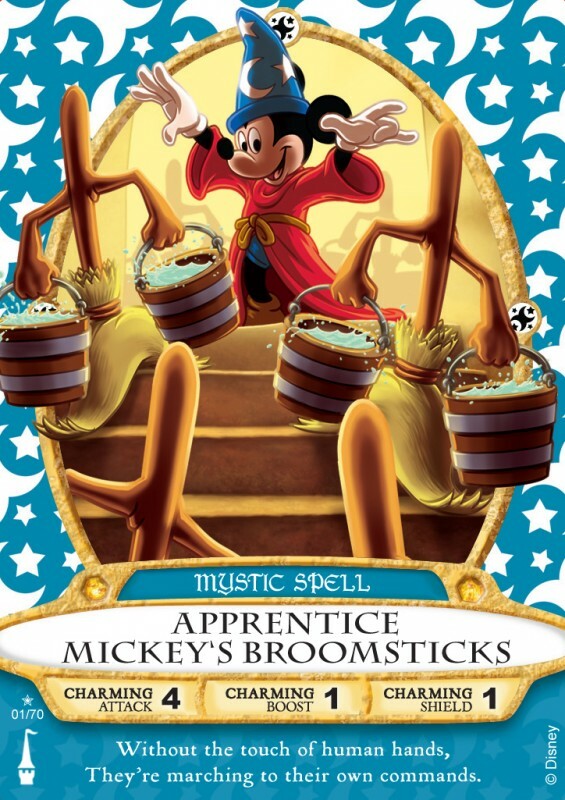 By casting different magical spell cards, players can do battle with Yzma, Kronk and other “baddies” hiding throughout the land. From fireballs to frantic frogs and cyclones, there are spells to bring down each and every villain, with a simple flick of the wrist. This immersive role-playing adventure is included with park admission. New Fantasyland (early 2012) – The largest expansion project in Magic Kingdom history will open in phases beginning February 2012 at Walt Disney World Resort, featuring attractions and experiences in an area that will nearly double the size of Fantasyland. Among the novelties, guests will be able to fly high with The Great Goofini or with Dumbo the Flying Elephant, “immerse” themselves in Under the Sea ~ Journey of the Little Mermaid and “be our guest” at the Beast’s Castle. Out of the gate in early 2012 will be Great Goofini coaster, Fantasyland Train Station and – for the first time anywhere turning counter-clockwise – the first half of the Dumbo the Flying Elephant attraction. Completion of The New Fantasyland is scheduled for 2014 with most new experiences open by 2013. Royal Guest Rooms (mid-February 2012) – Imagine waking up in a place where Disney Princes and Princesses have stayed. 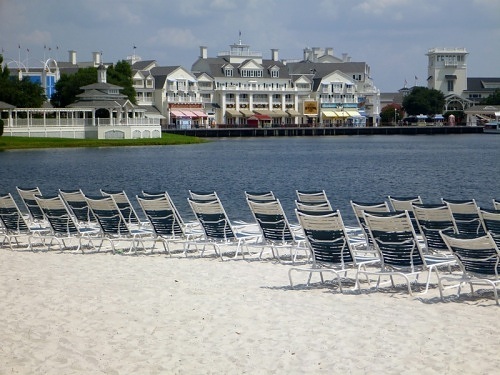 Beginning mid-February 2012, Walt Disney World guests staying at Disney’s Port Orleans Resort – Riverside will discover special treasures left behind by the stars of favorite animated films such as “Aladdin,” “Beauty and the Beast” and “The Princess and the Frog.” In quarters befitting the young Princes and Princesses of the family (their parents, too! ), guests can unwind amid remarkable décor. They’ll be able to watch “fireworks” swirl as they recline in ornate beds, curl up in custom linens and more. It is majesty and fun, rolled into one. Each of the 512 Royal Guest Rooms sleeps up to four guests in two queen beds. Launch of Disney Fantasy (March 2012) – The Muppets leading guests in an interactive detective adventure game around the ship. Guests’ own drawings springing to life and dancing with animated Disney characters. Two new Broadway-caliber, spectacular musical stage shows. A Bibbidi Bobbidi Boutique for magical princess and pirate makeovers. A fanciful water play area called AquaLab. Disney Fantasy, the newest ship in the Disney Cruise Line fleet, will bring to life these innovations and more, offering a cruise experience from stem to stern that caters to every member of the family. The 4,000-passenger Disney Fantasy will sail week-long Caribbean cruises from Port Canaveral, Fla., with its maiden voyage scheduled for March 31, 2012. Disney Cruise Line Visits New Ports, Offers New Itineraries (beginning May 2012) – For the first time ever, Disney Cruise Line will set sail from three new ports in 2012 – New York, Seattle and Galveston, Texas – with several new itineraries planned. Beginning in May, the Disney Magic will sail 20 cruises from New York – including eight-night cruises to the Bahamas, five-night cruises up the New England coast to Canada and two-night weekend cruises. Also beginning in May, the Disney Wonder will sail 14 seven-night cruises from the Port of Seattle to Tracy Arm, Skagway, Juneau and Ketchikan, Alaska, as well as Victoria, British Columbia. Beginning in September, the Disney Magic will sail 12 seven-night cruises from the Port of Galveston to the Western Caribbean. Disney’s Art of Animation Resort (May 2012) – A new resort hotel inspired by Disney animation will feature 1,120 family suites themed after “The Lion King,” “Cars” and “Finding Nemo,” and 864 themed rooms in “The Little Mermaid” wings. 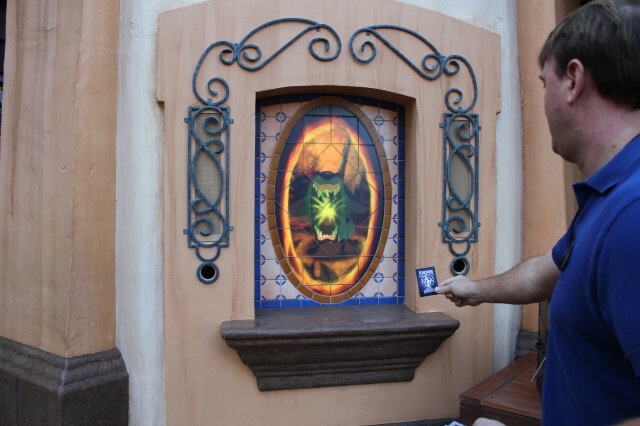 Animated scenes will carry throughout building exteriors and room interiors and feature larger-than-life icons from the animated films in courtyard areas. Nemo will be the first wing to open, in May 2012, at the resort hotel — Disney World’s 25th. The “Cars” wing is scheduled to open in late July and “The Lion King” wing in late September. The final wing, themed after “The Little Mermaid,” will debut in late 2012. Crowned by a 35-foot-tall model of King Triton, Disney’s Art of Animation Resort will be located next to Disney’s Pop Century Resort. Hit the Road with Mater and Lightning McQueen (summer 2012) — Some of the biggest thrills in the Disney California Adventure expansion are just down the road. Crowning the multi-year expansion project in 2012 will be the opening of Cars Land, inspired by the Disney•Pixar blockbuster “Cars.” Cars Land will feature three immersive family attractions showcasing characters and settings from the movie, including one of the largest and most elaborate attractions ever created for a Disney park: Radiator Springs Racers, a twisting turning, high-speed adventure through the town and desert valleys of Radiator Springs. Other Cars Land attractions will include Luigi’s Flying Tires (striking a chord with anyone who remembers the Flying Saucers in Tomorrowland) and Mater’s Junkyard Jamboree, a spinning attraction with a musical, hoedown theme. Guests also will enjoy “Cars”-themed dining and shopping locations. Which of these coming attractions are you most looking forward to?